The KP2 by Vic Firth is the world’s best selling pipe band snare drum stick. Used by most of the top drum corps around the world, this stick has a perfect balance for total control and high definition and pitch from the snare drum. The KP2 is currently the favoured stick of Jim Kilpatrick MBE and his drum corps. The world’s best selling pipe band snare drum stick is now available in black. Used by most of the top drum corps around the world, the KP2 stick by Vic Firth has a perfect balance for total control and high definition and pitch from the snare drum. 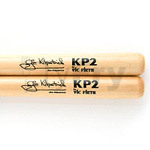 The KP2 is currently the favoured stick of Jim Kilpatrick MBE and his drum corps. The world’s best selling pipe band snare drum stick is now available in blue. Used by most of the top drum corps around the world, the KP2 stick by Vic Firth has a perfect balance for total control and high definition and pitch from the snare drum. 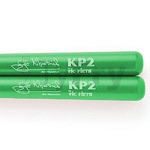 The KP2 is currently the favoured stick of Jim Kilpatrick MBE and his drum corps. The world’s best selling pipe band snare drum stick is now available in green. Used by most of the top drum corps around the world, the KP2 stick by Vic Firth has a perfect balance for total control and high definition and pitch from the snare drum. 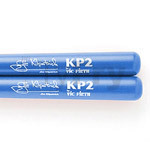 The KP2 is currently the favoured stick of Jim Kilpatrick MBE and his drum corps. The world’s best selling pipe band snare drum stick is now available in pink. Used by most of the top drum corps around the world, the KP2 stick by Vic Firth has a perfect balance for total control and high definition and pitch from the snare drum. The KP2 is currently the favoured stick of Jim Kilpatrick MBE and his drum corps. The snare drum stick of the 2011 World Drum Corps Champions The House of Edgar Shotts & Dykehead Pipe Band. The world’s best selling pipe band snare drum stick is now available in purple. Used by most of the top drum corps around the world, the KP2 stick by Vic Firth has a perfect balance for total control and high definition and pitch from the snare drum. The KP2 is currently the favoured stick of Jim Kilpatrick MBE and his drum corps. The world’s best selling pipe band snare drum stick is now available in red. Used by most of the top drum corps around the world, the KP2 stick by Vic Firth has a perfect balance for total control and high definition and pitch from the snare drum. The KP2 is currently the favoured stick of Jim Kilpatrick MBE and his drum corps. The world’s best selling pipe band snare drum stick is now available in white. Used by most of the top drum corps around the world, the KP2 stick by Vic Firth has a perfect balance for total control and high definition and pitch from the snare drum. 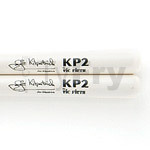 The KP2 is currently the favoured stick of Jim Kilpatrick MBE and his drum corps.